Several picturesque Medici villas will also invite the public for free over the course of the European Heritage Days from September 21 – 23. People can take in the sweeping views of Florence, frescoed courtyard and beautiful terraced garden of Villa della Petraia from 7 – 10 pm on Saturday, Sept. 22. Visitors are invited to breathe in the fresh air of the Tuscan countryside and admire the beautifully adorned rooms and lush gardens of this palace that was the country home of numerous powerful patrons throughout the centuries. 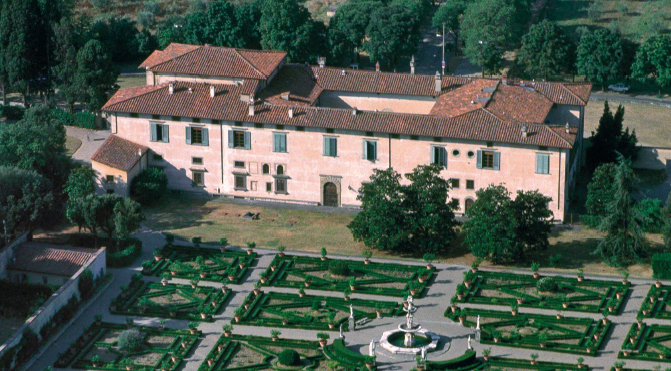 On Sunday, Villa Corsini can be toured from 9 am – 1 pm, in addition to the nearby garden of Villa di Castello from 9 am – 6:30 pm. The Villa Corsini has been turned into a museum of Etruscan artifacts complete with a hall of statues including the famous Hellenistic sculpture Arianna Dormiente from the 2nd century B.C. The garden of Villa di Castello is a pinnacle of exotic plant life – a living testament to the Medici family’s passion for spices and plant species from all over the world. The grounds are also home to a small lake, fountains, a secret garden and the iconic “Grotto degli Animali.” This cave shelters a special and massive one-of-a-kind menagerie of stone animals carved from different varieties of marble and an intricate ceiling mosaic crafted from shells and other natural materials.